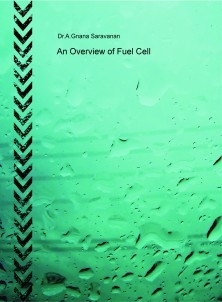 A fuel cell is like a battery in that it generates electricity from an electrochemical reaction. Both batteries and fuel cells convert chemical potential energy into electrical energy and also, as a by-product of this process, into heat energy. However, a battery holds a closed store of energy within it and once this is depleted the battery must be discarded, or recharged by using an external supply of electricity to drive the electrochemical reaction in the reverse direction. A fuel cell, on the other hand, uses an external supply of chemical energy and can run indefinitely, as long as it is supplied with a source of hydrogen and a source of oxygen (usually air). The source of hydrogen is generally referred to as the fuel and this gives the fuel cell its name, although there is no combustion involved. Oxidation of the hydrogen instead takes place electrochemically in a very efficient way. During oxidation, hydrogen atoms react with oxygen atoms to form water; in the process electrons are released and flow through an external circuit as an electric current.